Sage One Payroll makes it easy to accommodate all the tax codes in your payroll and the software automatically keeps all employees’ tax codes completely up to date. Most of us are familiar with HMRC tax codes but how easy do you find it to manage them in your payroll? Having the right tax codes for each of your employees is vital to make sure they’re paying the correct amount of tax. But it can be complicated and time-consuming to keep them all up to date. It doesn’t have to be. Sage One Payroll has been designed to make managing your tax codes as simple as possible. When you are setting up a new employee on your payroll, you need to ensure that you give them the right tax code. The information on their P45 from their former employer will indicate which tax code you should use.You’ll also need to keep your tax codes up to date for all your employees, especially after payroll year end. Each year, new tax codes are issued and you’ll need to ensure that each of your employees are on the correct new code. With Sage One Payroll, it’s quick and easy to apply the right tax code, as the software automatically updates each employee’s tax code for you. 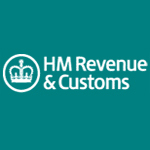 It’s easy to make any changes and if any codes are missing, it’s just a couple of clicks to go through to the HMRC website to get the additional information you need. As part of running your payroll, you’ll need to ensure you send the right information through to HMRC. With Sage One Payroll, the process is easy. Sage One Payroll automatically assigns the right tax-free pay allowance and sends over all the data to HMRC to let them know how much income employees have earned and how much tax they have paid. This allows HMRC to check that each employee is on the right tax code and to make any changes to their tax code if necessary. In Sage One Payroll, if you need to add a HMRC tax code the software will check it’s in the right format. This makes it less likely that you’ll make a mistake and gives you piece of mind that you are using the correct tax code. Sage One Payroll supports these new codes, making it easy for you to manage the process.